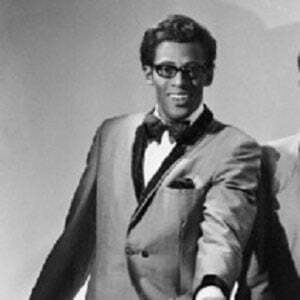 Lead vocalist of The Temptations, well known for his performance of "My Girl." He was inducted to the Rock and Roll Hall of Fame in 1989 for his contributions to soul music. He was in the gospel group The Soul Stirrers early in his career. His first record deal was with Vega Records; he released his first singles in the late 1950s. Rolling Stone named him one of the 100 Greatest Singers of All Time in 2008. He married Sandra Ruffin in 1961. They had four children. He impressed Rod Stewart when he sang "I Wish It Would Rain."